After his graduation from LSPS in May, 1992, Jay was ordained and served Trinity Lutheran Church in San Antonio, Texas for four years. During that time he chaired the Multicultural Committee of the Southwest Texas Synod and also served on the board of the Multicultural Commission of the ELCA. He was then invited to pursue doctoral studies at LSTC and graduated with a Ph.D. in June, 2002. Jay joined the faculty of the Lutheran School of Theology at Chicago at its extension program in Austin in January of 2000. 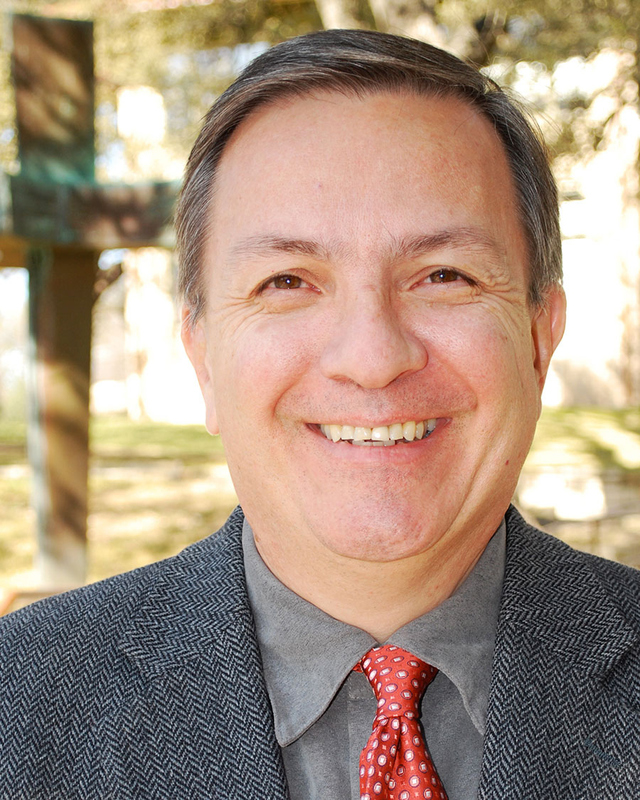 Jay’s academic interests include contextual borderland theology, Latino/a spirituality and the ethics of Dietrich Bonhoeffer and Martin Luther King, Jr. His doctoral dissertation focused on the history of the imago Dei (image of God) construct as a venue for welcoming the stranger in an alien land. In 2006, he was invited to be a part of a panel that examined the subject of border walls at an international conference held in Berlin and at the Lutheran center in Wittenberg, Germany. He was a keynote speaker at the Rocky Mountain Synod Assembly in April, 2009 and the guest preacher at the Southwestern Texas Synod Assembly in May, 2009. He has been a presenter and preacher at various church forums and assemblies. He has also taught from his dissertation topic at ISEDET seminary in Buenos Aires, Argentina and at Holden Village in Washington State. 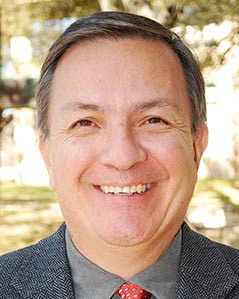 He has been appointed to serve on the board of Texas Lutheran University in Seguin, Texas. For a more comprehensive view of his bio, you are invited to visit the LSPS website. “Faithful Doubting.” Ratherview, A Publication of the Seminary of the Southwest, (Summer 2009). “Created in the Image of Diosito,” in A Handbook for Latino/a Theology, eds. Miguel de la Torre and Edwin Aponte, Chalice Press, 2006. “Reflections on Technology and Pedagogy in Theological Education: Five Case Studies,” The Wabash Teaching Theology and Religion Journal, Vol. 10.2, 2006. “Introduction” to “The German Nobility,” in Lutero al habla, eds. Giacomo Cassese & Eliseo Pérez-Alvarez, México, D.F. : Editorial El Faro, 2005. “The Image of God as Embodied in Nepantla from the Perspective of a Latino,” in Currents in Theology, Vol. 32 (December 2005). “La Imago Dei Encarnada en Nepantla desde la Perspective de un Latino,” en Lutero descalzo: Una lectura afro-indo-mestiza, ed. Eliseo Pérez Alvarez, México, D.F. : Editorial El Faro, forthcoming.